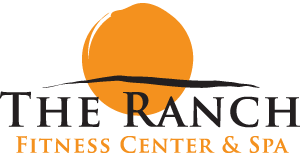 The Ranch Fitness Center & Spa. Newcomers, please review our Spa Etiquette. This 3½ hour retreat begins with a ‘Refreshing Retreat Massage’ and a ‘Refreshing Retreat Facial’. Next, relax and enjoy a healthy lunch. Continue your perfect day with a ‘Classic Manicure and Pedicure.’ Enjoy a complete package of relaxation! This 3½ hour escape is designed with men in mind. Your day begins with a 50-minute ‘Deep Tissue Massage’ followed by a 50-minute ‘Gentleman’s Facial’. A ‘Spa Foot Treatment’ and ‘Aromatic Scalp Treatment’ add the finishing touch to a day of relaxation. This package includes a healthy lunch. Replenish your overall well-being! Escape for 3 wonderful hours with a ‘Body Polish’ followed by a ‘Swedish Massage.’ This package finishes with a ‘Classic European Facial.’ In between services, enjoy a healthy lunch and take time to reflect in the peaceful atmosphere of our Whisper Lounge. Renew your inner balance! A 5-hour excursion will dismiss all tension while reconnecting you with nature. An ‘Organic Body Wrap’ begins your journey leading to a 50-minute ‘Aroma Therapy Massage.’ Next, enjoy a healthy lunch followed by ‘The Ranch Signature Organic Facial,’ a custom tailored 60-minute facial. This package finishes with a ‘Spa Hand & Foot Treatment.’ Achieve an overall peaceful feeling of rejuvenation! You deserve 5-hours of pampering and relaxation. Begin your journey with a ‘Body Polish,’ followed by an 80-minute ‘Hot Stone Massage’ and 60-minute ‘Ageless Beauty Facial.’ A short break and healthy lunch allows you time to relax and reflect. ‘The Ranch Signature Spa Manicure & Pedicure’ follow, finishing with a Shampoo & Style. Your journey and retreat for complete pampering and relaxation! Guests that purchase a package may enjoy the use of the steam and sauna rooms, state-of-the-art fitness center and indoor heated pool. We are happy to assemble a custom spa package with a group of services that fits your needs. All Spa Packages include an 18% gratuity.